Images posted online by reporters and advocates painted a disturbing scene in the Texas city. 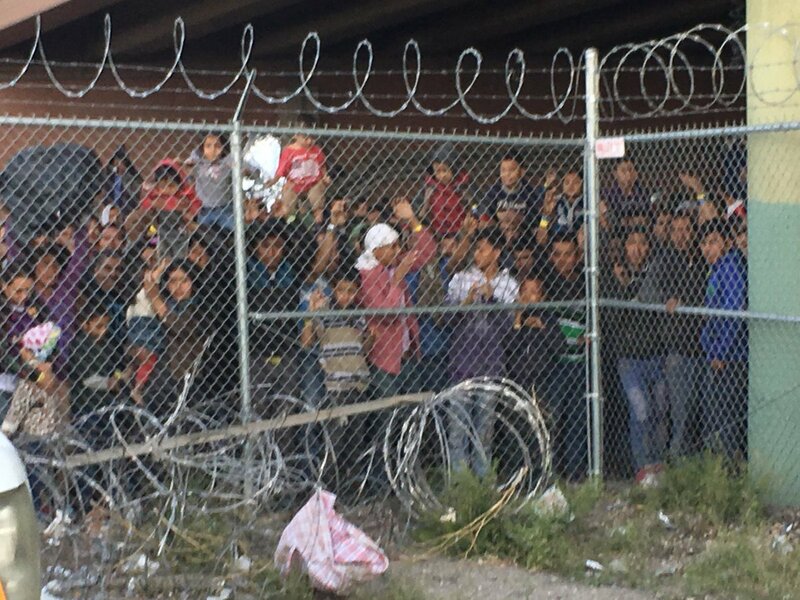 Lines of migrants behind fencing, being processed by agents from U.S. Customs and Border Patrol (CBP), walked into a camp area that appeared to be standing room only. "The tent that is set up underneath the Paso Del Norte port of entry and adjacent to the Border Patrol's Processing Facility is a transitional shelter," a CBP spokesperson told the outlet. "Due to the large volume of apprehensions within the El Paso Station's Area of Responsibility, the agency has undertaken additional measures to facilitate processing." Photos of the hundreds of people held at the site spread over social media on Wednesday. The publicity came alongside an appearance at El Paso by CBP commissioner Kevin McAleenan, who said that the border was "at its breaking point."